"Purchase orders and approval routing is easy with the product." The cataloging of various items I purchase allows for me to save recurring purchases and easily assemble future purchase orders by item or by copying existing requisitions. Approvals are also easy with the preset routing and ensures that all involved parties see what needs to be seen. Load times in the system are not always idea and can slow down the flow of work. There is also limited ability to alter a purchase order once submitted even if it has not yet gone through any approvals. This can result in supervisors being burdened with requests for changes. This is a solid piece of web based software to fill a need at small universities or businesses and I would highly recommend it. This program solves the issue of maintaining contractor and supplier lists as well as records or purchasing history as it is easily accessed through the system. It also makes it easy to view budgets and see at a glance what funding is available for future purchases. "Financial Edge edging out its competitors"
All your expenses are shown in the General Ledger in detail. You can also see all the previous year's expenses and budgets, which is great because I was able to see my budget lines before I was hired so I can continue to manage these lines and analyze how to cut costs, or why certain fiscal years went over budget, etc. I was told when credit card charges are entered in the General Ledger they only show up as a credit card charge but the finance team here cannot edit information to show what the charges were for. Great software to use even for the casual user. All of the information are right at your fingertips. You can access all the information from previous fiscal years and get a snapshot each week of how you are meeting your budget. I do have some issues with the software with my Windows 10. I get an error if I have the program open too long and then try to close the program. It could possibly be a Windows 10 problem and not with Financial Edge, but something to consider. It helps all departments in our company see each week how they are meeting their budgets. The general ledger shows every charge in your budget line. Very user friendly and easy interface. Financial edge is one of the most robust grant tracking accounting software out there. It was created with non-profits in mind. All the reports and tracking abilities are highly customization with their visual charts organizer. The platform seems dated and somewhat clunky. It is definitely not as pleasing to look at as their new NXT version. One of it's best perks is one of it's flaws, it's not very intuitive for new users because it is so highly customization. Their customer service for purchasing and implementing new services is not very helpful. Please be sure to allocate enough time on the front end to ensure that you implementation goes smoothly. The ability to track grants with a higher level of controls and reporting capabilities than Quickbooks. Financial Edge is useful if you are also using other Blackbaud products, like Raiser's Edge. I work in development and it helps to keep all of our finances and income in sync with other departments. It works like most other financial software systems. I'd like it better if FE and RE were more deeply connected, like in one CRM system. I find some of the account names to be a bit long and not super intuitive. This is a great system if your syncing with other Blackbaud systems works. It's good back-up for Raiser's Edge. It's always good to have a second method of accounting, especially in an organization where a large amount of our income is contributed. The integration with Raisers Edge is the best thing about this product. Makes my life so much easier. I'm not an accountant, so it's not really the product's fault that I don't understand it very well. If you use RE, you should use FE. It only makes sense. I'm not an accountant, though, so I don't know the system very well. Financial management for my foundation, which is 95% funded by donations, which are managed through the Raisers Edge. The primary benefit is the integration between the two systems. We used to use Quickbooks. This is much better. Consistency. 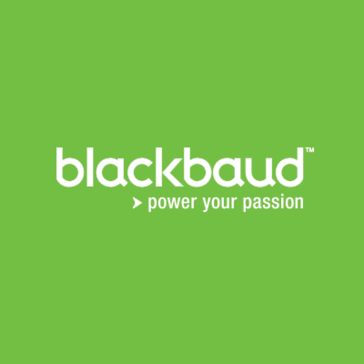 Blackbaud is consistent between its products. It is also very easy to navigate. The fixed asset module is too basic. You cannot partially dispose of an asset or build assets that have multiple components. It doesn't really solve a problem. It is the major tool for storing and reporting the financial activities and status of the company. "Evaluated for new GL system"
Compared to our legacy system this system looked great. Very sleek- nice dashboards- electronic PO's and looked pretty user friendly. The system looked to be much easier to navigate than our current system. In addition you have the ability to scan a lot of support into the system (invoices and billing) and drill down to the source document from reports. Main thing that we disliked about the system was in evaluating the system capabilities the vendor was very slow in getting back to us. This gave us the impression that they didn't really care all that much about obtaining our business. We had very specific questions on system capabilities around specific billing needs at our organization. We went round and round on answers for several months- hearing the system could not do it and then having them come back and say that it could (after we told them we could not sign up for the system if it couldn't handle the billing requirements). Just a frustrating process when at first it looked very promising. I would recommend making sure you have a very strong consultant involved when it comes to implementing a new general ledger system and someone that can steer you in the right direction or assist in evaluating multiple general ledger systems. Also ensure that the sales person you are dealing with at the vendor is strong- some of them just end up wasting time in the process. We are trying to look for a new general ledger system as we have outgrown our current legacy system. The process of evaluating multiple vendors was certainly enlightening and gave us a very good understanding of what questions to ask when evaluating different system and also made us appreciate the fact that you want very strong consultants when it comes to implementing a new general leger system. BlackBaud is extremely user-friendly. It's intuitive, easy to use, and a great way to store massive amounts of data in a concise and clean manner. It's sleek, smart, and a great program. I like to consider myself a pretty tech- savvy person, but some of the shortcuts weren't initially intuitive. Using CTL-L to save took me some getting used to, but once I got the hang of it, everything else was pretty easy. In addition, I do wish there was a way for the program to automatically log the user who enters the data so we can keep track, but there are manual ways to do that. Easy to use - great product. Definitely a good choice. This is a way for us to conveniently track all of our applicants and see where they are in our application process. It allows us to log each of the components of the application process and time-stamp them. This allows us to stay organized throughout a very detail-oriented process. "Great Produce. Overall great package, but pricey. " Features everything you could want in a donor database system. Great for financial management and having your staff input the necessary information to pull the reports you need. Fairly easily to use, once you have training. Product also syncs up with other systems, like websites, mobile donations, etc. Overall product is expensive, especially for a nonprofit. You pay for what you get. Premium price for a high-quality product. Think about lowering the price to make it more affordable and accessible for nonprofits. Our financial accounting system. Much of the projects we complete must be allocated to a fund source. For instance, we need to report that this grant was used to complete any given project. Being able to quickly and easily pull this information is critical. It is a very solid and tight financial system. It is easy to navigate and has good system security. I don't like that certain features are considered "extra" such as Advanced Budget Manager or Fixed Assets - it should just be available to everyone who owns a license. There really wasn't any business problems it was solving for us as we migrated from an existing financial system that actually had more features. We moved to FE as it integrates with RE. "FE reporting easy to train"
Once reports are set up it is easy to train others and transfer use across the University. Business reporting and tracking over the years. Able to allow users across the university with granular security access and specific training. While complex, it's a useful tool for managing financials, student data etc. We have a sync between Raisers Edge and Financial Edge that keeps our databases synchronized. The code base may be a bit old, some features like the Dashboard require using some very outdated Office XP Web Components. The software itself seems stable enough. There is uncertainty about their Whipple Hill acquisition and what it means for us since we were/are Whipple Hill and Blackbaud customers when it was bought out. Wait for the dust to settle on the transition with Whipple Hill. It's still good software, but there are too many unknowns at this point. We're managing all student information through the software. Allows for a great deal of customization in order to allow us to create the specific reports we need. We are heavily federally funded and the grants option helps to ensure compliance with spending regulations. 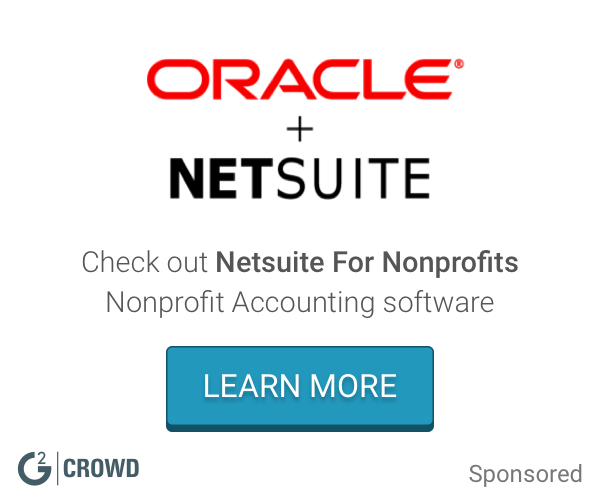 This is a complete nonprofit solution that meets all of our needs. The system can be slow and buggy at times, but this is something Blackbaud continues to work on. Day to day accounting needs are being met with a high level of confidence in the internal controls being put in place. "New User but great experience"
This program worked really well for the walk we were in and allowed for easy donations from our walkers. There was not a simple way to register mailed donations for the walk. This may be a specific circumstance but it still became irritating. Please understand that for everything you need and want there is a price for that. Customer service and help... there is a cost. The more customization... cost. We are using this for a walk fundraising platform. This also ensures that the other non-profits are able to use the same financial software and compatibility. "Great idea, not fully implemented"
Be pro-active in feature updates and roll-out of planned roadmaps. The ideas are great, and very useful once activated. I like if you have any questions for reporting you can use a chat application. They can give you step by step on how to generate a report, making it very easy and efficient. I wish there were not so many steps to generate a report. It helps organize all my donors. "Every day use as an accountant as a community foundation"
Ability to adjust JE before posting. Reporting is straight forward once things are set up in system for reporting. Easy to use with posting JE's. Importing of JE is beneficial to me and easy. Formatting of Reports to excel/pdf. Length of time it takes to run reports. The lack of compatibility with other software including Endowment Manager. Customer service is not responsive and it is hard to get questions answered sometimes with Blackbaud. Use FE to run day to day operation of a community foundation. The problems solved with the software consist of accounts payable recording, check cutting, reporting, budgeting and analysis. The benefits consists of value brought to the foundation by reporting for board presentation and approval. "Financial Edge is an excellent accounting software package!" I like the integration of the modules - General Ledger, Accounts Payable, Accounts Receivable, Cash Receipts, Student Billing, and Fixed Assets. We are also integrated with Raiser's Edge for the development side of business. I like to ease-of-use in learning each module. I value the training and user resources available online and via phone. Financial Edge reports are not as easy to create as I would like. Managing internal controls. Generating meaningful financial reports for management and our Board. Financial Edge allows us to track and monitor payments and cut checks more easily. "Great product for non-profits! " It's fairly easy to navigate and get information from. The software is expensive and you will most likely need to purchase additional modules for needed features. It's expensive to get and the yearly contract fee is a little high. This really streamlined our accounting. It's nice that it communicates with Raiser's Edge our database software. "Too clunky for my taste"
It duplicates accounts if the account does not fully match a previous entry. For example, if Susie Q entered her first time as living on Row Lane and then second time as living on Row Ln. - two separate accounts are created. There are a variety of functions in this software that make it very versatile and easily collect, compile, and process data for you. Collecting donor information and tracking contacts has been very helpful. It's a user friendly software. Very easy to use for reporting, budgeting and data mining. Nothing really. It's easy to use. I have no complaints. Data entry was simple to learn. My mentor had to leave after two days of training but I had a handle on knowledge at that point. It feels somewhat dated. The look could stand some updating. Keeping track of finances for the enrollment department at college. The idea that it can sync with other Blackbaud products. The difficulty in getting the sync to actually work and be accurate. Make sure you can have a good sync. If not you will spend years with two silohed products. * We monitor all Financial Edge reviews to prevent fraudulent reviews and keep review quality high. We do not post reviews by company employees or direct competitors. Validated reviews require the user to submit a screenshot of the product containing their user ID, in order to verify a user is an actual user of the product. Hi there! Are you looking to implement a solution like Financial Edge?